These 100 classic games add modern features like online multiplayer. Atari may not account for much in the world of video games in 2016, but there was a time when it was the name in gaming. Still hoping to gain from its successes of more than 30 years ago, Atari just brought a package of 100 games to Steam called Atari Vault. Atari Vault (for Windows 7 and up) packs 100 retro Atari games into a download measured at just over a gigabyte—ah the good ol’ days—for the launch price of $17. 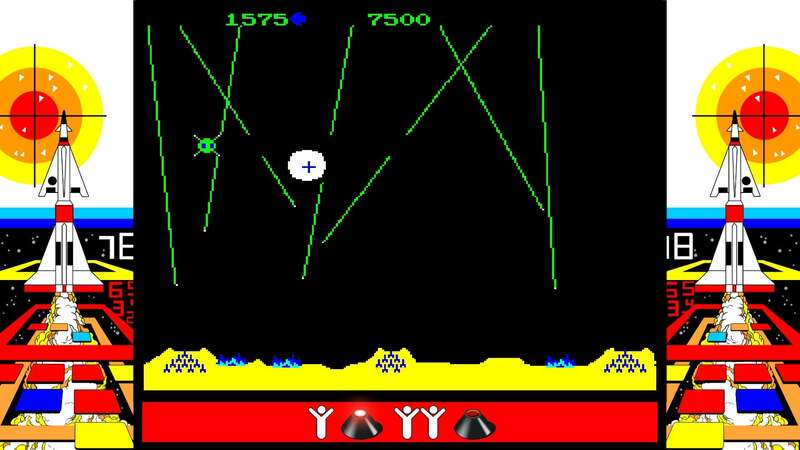 The collection includes many Atari classics from arcade cabinets and the 2600 console, including Asteroids, Centipede, Haunted House, Missile Command, and Pong. 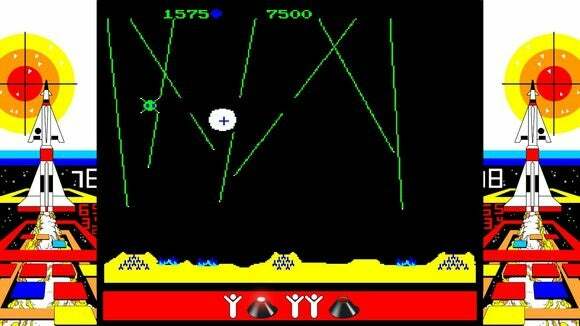 Missile Command in Atari Vault. The impact on you at home: It’s easy to freely download pirated ROMs and old-school emulators to get your classic video game fix on. So why would anyone pay for this pile of nostalgia? Atari smartly added some new features to Atari Vault that you won’t find anywhere else. First of all, every game in the vault is guaranteed to work properly on your PC, which is something you can’t say for the various ROMs you find on the Internet. More importantly, Atari added nice features like full controller support so you can play the games the way they were meant to be played. There’s also self-hosted online multi-player and Steam leaderboard integration. For nostalgia buffs there’s also a 3D view of the classic box or cabinet for each game. 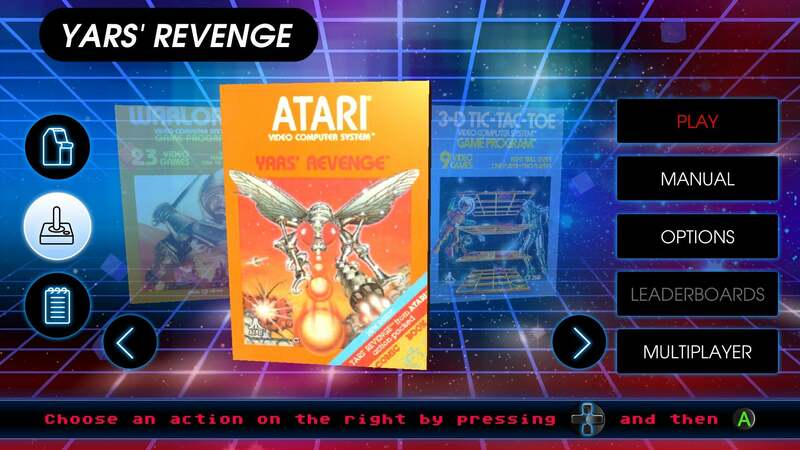 Yars’ Revenge in Atari Vault. For anyone who ever owned a wood-paneled Atari 2600 with its rickety, single-button joystick, the new collection will bring back a lot of memories. What it won’t bring back, however, are some of your absolute favorite 2600 games. 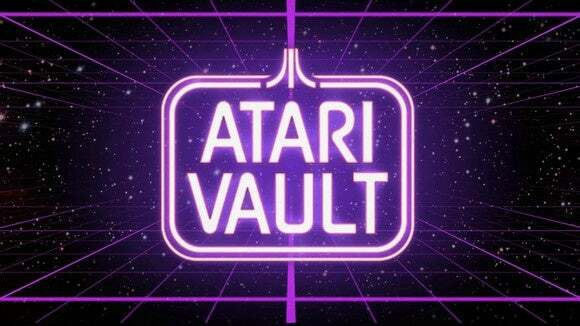 Atari Vault only includes games created by the company. Classic 2600 games from companies like Activision, Namco, Parker Brothers, and others aren't here, including Berzerk, Empire Strikes Back, Frogger, Joust, Pitfall, Q-Bert, and Pole Position. An Atari classic that was in the news in recent years, E.T. : The Extra Terrestrial (I don’t care what anybody says, I liked that game—and Superman too) is also out. Still, for $17 it’s not a bad buy. Heck, you don’t even have to bother shutting down any open programs to run this thing, meaning you can quickly pop in and out of the vault any time you like.